If you have an apple device the instructions below will walk you through subscribing on the native podcast app. The Apple podcast app is already installed on your device, so simply look through your apps for ‘Podcasts’. 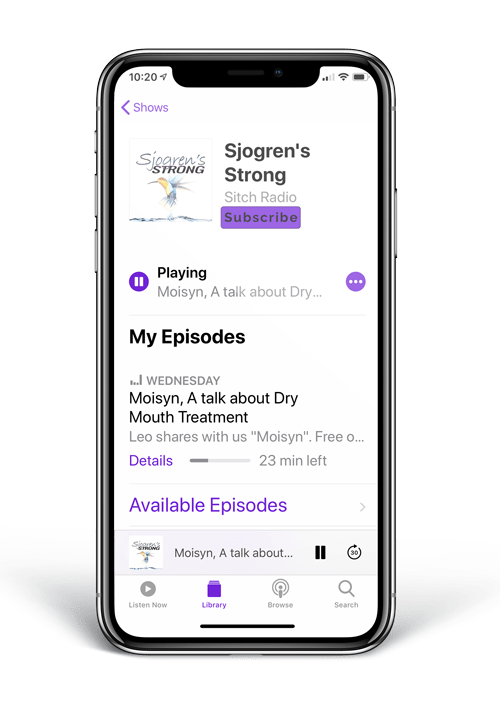 Open the Podcast app and go to the search page (get there by clicking the magnifying glass icon near the bottom). A search box will appear at the top, next to another magnifying glass icon. 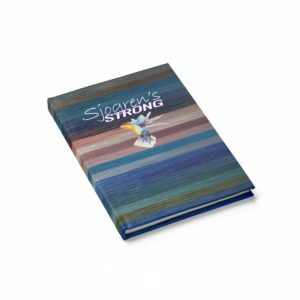 Tap on this and type in the name of the podcast you want, like “Sjogren’s Strong”. Hit “enter” on your keyboard. 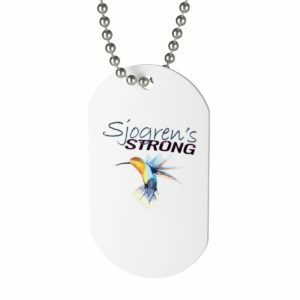 Choose “Sjogren’s Strong” from the search results by tapping on it. This should take you to the podcast’s page. Tap on SUBSCRIBEThis means the app will automatically download the latest episodes as they are released, right to your phone.